The beloved split-flap departure board at Philadelphia’s 30th Street Station may have found its savior in a hometown company that claims to be the only North American maker of the iconic signs. As part of its $100 million station renovation, Amtrak had planned to replace the current sign with a new, digital screen. Philadelphians and station users, numbering 25,000 riders per day, rose up in protest. A #SavetheSign campaign drew 2,300 signatures and counting, and U.S. Rep. Brendan Boyle got involved. So did Oat Foundry, a local company that designs and manufactures high-tech versions of the old-school signs, with their black-and-white flaps and weirdly satisfying clickety-clack sound. This month, they met with Amtrak officials. A new sign could take as long as a year and a half to be commissioned, fabricated and installed. Kuhn and five fellow Drexel University grads – Sean Rossiter, Mike Courtney, Luc Tenthorey, John Halko IV and James Vescio – founded the company in Bensalem in 2013 after spending nine months building a prototype vending machine for a class project. Earlier this month, the company quadrupled its space with a move to the old Frankford Arsenal in Northeast Philly. 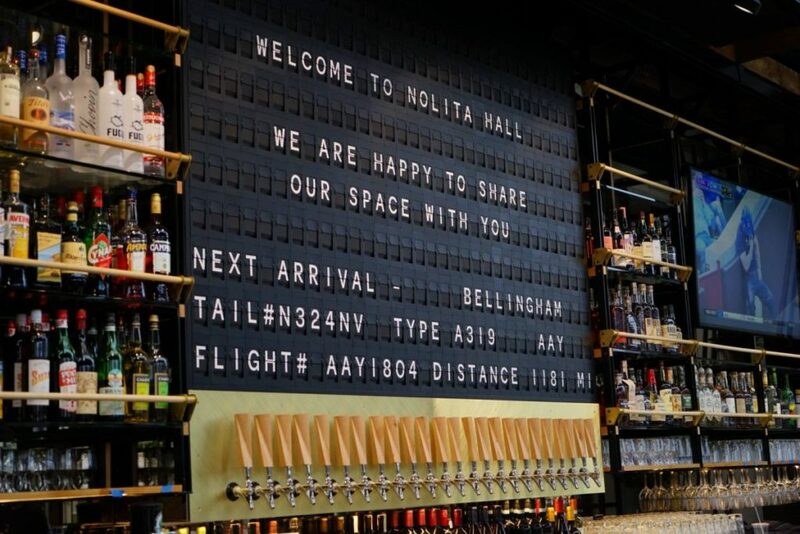 The young engineers got interested in building split-flap signs after Honeygrow, the fast-growing, Philly-based restaurant chain, requested a train station-style departures board controlled by modern technology. 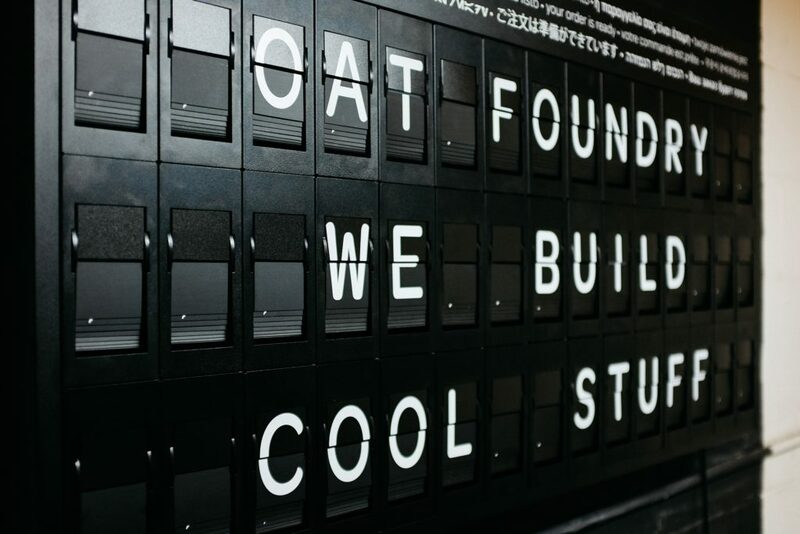 Since then, Oat Foundry has built split flaps for clients including the Chicago Cubs, Starbucks, Momofuku Milk Bar, American Airlines, Hilton, Marriott and many more. The signs are modular and fully customizable. They run on Linux and have a cloud-based messaging interface that can be integrated with common social media platforms, point-of-sale systems, transit systems, weather, messaging services and more.